This is where I tell you people about this coupling and why I support it. I support them. Even if you don't that's fine, but I do. Why SesshomaruxKagome??? Well, that's easy. They're kawaii!! 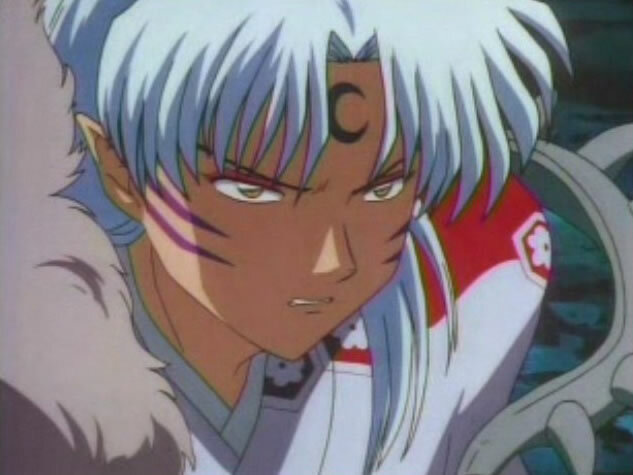 Kagome's the type to change anybody and Sesshomaru's the type to show you how to be tough. They would be perfect for each other. They're the Vegeta and Bulma of Inuyasha. I mean they would fight like them and like her and Inuyasha do. I started thinking about this pairing when I read a fic about those two and I got hooked. So, I support them and I support InuyashaxKagome. As you can see, this is about SesshomaruxKagome not InuyashaxKagome. So, that's that. They're my favorite coupling and that's "Why Them?" for ya.